What is a Cancer Alliance? Chloe Delavingne had a smear test live on the BBC Victoria Derbyshire programme to help raise awareness. Are You Looking Out For Your Neighbours? So many people affected by cancer report feeling lonely and isolated, after their diagnosis, during treatment, after their treatment ends. The support of family, friends and others around them plays such a vital role in their recovery and well-being. Imagine how much worse those feelings can be without that support network. Just a friendly face, a chat, an offer to help, just making time to care, can make all the difference to someone who is alone, who is lonely, who is vulnerable, living with or beyond their cancer diagnosis”. 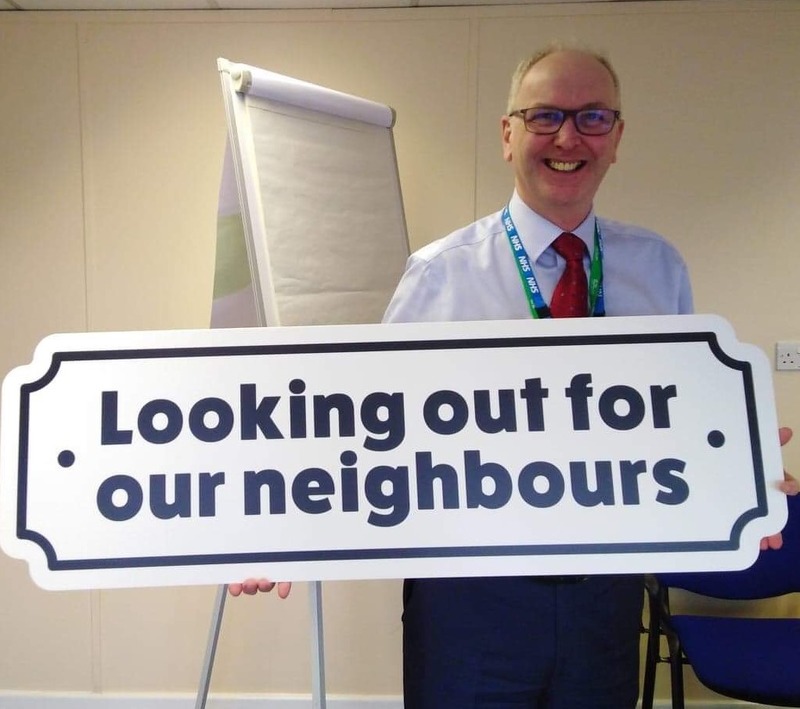 That’s why the West Yorkshire and Harrogate Cancer Alliance is backing this important campaign we're backing the Looking Out For Our Neighbours campaign. Read more here. Our Cancer Alliance has ambitious plans to transform services and improve care, treatment and support for those affected by cancer in West Yorkshire and Harrogate. Our Delivery Plan explains what we will do to achieve world class outcomes for our patients. Our Alliance is a wide range of organisations involved in caring for and supporting those affected by cancer across our area, including the NHS, local councils, care providers, charities, voluntary and community sector organisations, individual patients and support groups. See how we work in West Yorkshire and Harrogate. We believe all our work should be shaped by those who have experience of what it means to live with and beyond a cancer diagnosis. Find out how you can get involved and help us do this. West Yorkshire and Harrogate Health & Care Partnership is hosted by NHS Wakefield Clinical Commissioning Group. Click HERE to read our privacy notice.